Update, March 12 at 4pm: BioWare’s General Manager assures fans Anthem’s development will not be impacted by writer’s departure. BioWare’s general manager, Casey Hudson, has assured fans the departure of writer Drew Karpyshyn from the company will not affect upcoming science-fantasy Anthem. 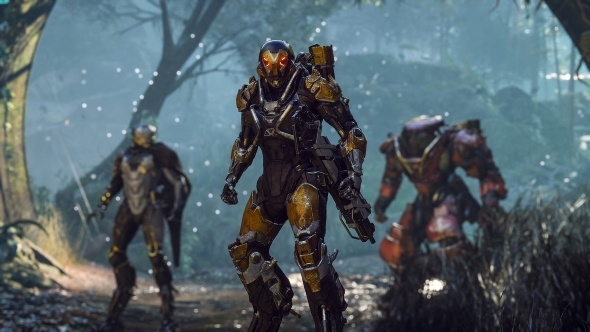 Karpyshyn was working on Anthem before his departure from BioWare, but Hudson has assured fans his work on the project was completed and his departure will not impact the game’s development. Story will always be an important part of every BioWare game. Drew has wrapped up his work on the project, but Anthem’s Lead Writers and their teams continue to do amazing work developing the world, story, and characters. Anthem is due for release in early 2019, for more details click here. Update, March 12 at 1pm: Writer Drew Karpyshyn leaves BioWare, joins Fogbank Entertainment. Mass Effect’s lead writer, Drew Karpyshyn, has announced he is leaving BioWare, for a second time, to pursue personal projects and join Fogbank Entertainment. Karpyshyn left Bioware once before, in 2012, to work on his original novels, but rejoined the company in 2015 to continue working on Star Wars: The Old Republic. Karpyshyn had been working on Anthem before his departure. “I know a lot of you are wondering why I’m doing this. For many people, working at BioWare would be their dream job and they can’t imagine anyone stepping away from it. But it was time for me to move on,” Karpyshyn explains on his website. 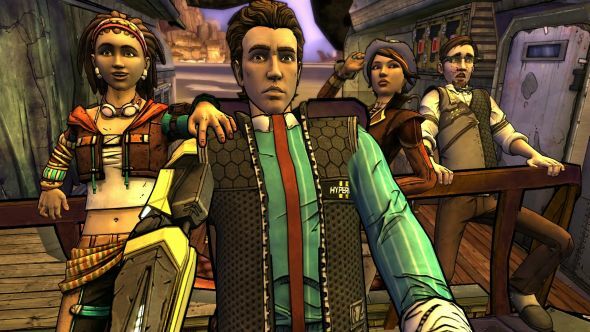 Original story, March 12 at 12pm:Star Wars: The Old Republic creative director is making a Telltale-like game. Former creative director of Star Wars: The Old Republic,Daniel Erickson, is heading up new Fox-owned studio, Fogbank Entertainment, in San Francisco (viaVentureBeat). Fogbank Entertainment is part of FoxNext Games, a division of 21st Century Fox, and therefore Disney. Fogbank Entertainment’s debut project will be an episodic narrative game in the vein of Telltale’s many adventures. The game is set to draw from film studio 20th Century Fox’s characters, stories, and locations. Which means we could see a game based on the likes of Home Alone, The Simpsons, Deadpool, or even Star Wars: Episode One – The Phantom Menace. Erickson is at the helm of Fogbank Entertainment, as the studio’s director, accompanied by veterans such as Kabam’s Nathan Germick, as executive producer, and former BioWare lead writer Alex Reed, who will oversee narrative development. “FoxNext is committed to developing quality gaming experiences, and Fogbank is going to help us to develop an interactive storytelling platform that allows us to expand on Fox’s catalog of entertainment while also developing new, unique fiction,” Aaron Loeb, president of studios at FoxNext Games, says in a statement (via VentureBeat).